To those who lived through the 60s and 70s, these glimpses are magnetic, attracting memories from our distant past. For Generation X and Millenniums, this may be your first time hearing this information. That is all right since the author plans two more volumes that will cover the years 1977-2015. Then reader roles may be reversed, and baby boomers will have to be brought up to speed by the current generations. 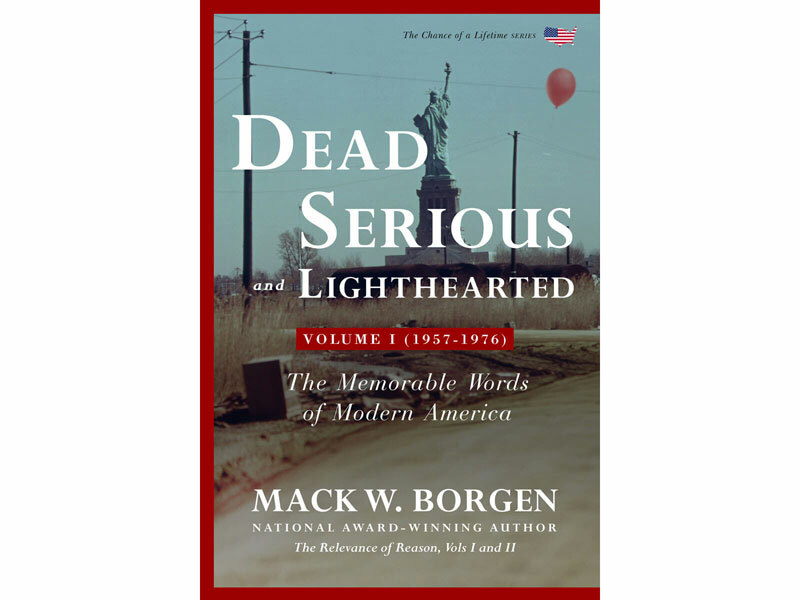 As explained in his introduction, Borgen’s intent in writing a modern American history is to draw together generations living today. In previous centuries sometimes only two generations lived at the same time, so traditions and stories were handed down orally. With increased life expectancies, America now has four generations who must get better acquainted in order to live and work together. The layout of this 500-plus-page book is atypical. Roughly divided into three parts, six introductory chapters precede the memorable words of the 1957-1976 section. The last third of the book contains appendices, endnotes, resources, and an in-depth index. Future volumes are to follow the same format. Whether readers prefer cultural theory and arguments or simply reliving memorable words of our collective lifetime, the book does not disappoint. It is a reference for researchers and librarians but sure to be beloved by boomers. This entry was posted on Monday, June 11th, 2018 at 3:00 am	and is filed under Book Awards, Latest News. You can follow any responses to this entry through the RSS 2.0 feed. You can leave a response, or trackback from your own site.